Especially common in babies, they can occur at all ages. They usually arise on the face, most commonly around the eyes and cheeks. The underlying cause is a blockage of sweat ducts by dead skin cells. This can explain a worsening in the appearance and number of milia after any skin injury. Some common creams are too greasy for the skin and prevent natural shedding or exfoliation. Although milia are harmless, people often find them unsightly and wish to have them removed. Give them time, as some will resolve on their own if you swap greasy creams for a good exfoliating product. (We can guide you on this) Using a cleansing brush will give your skin a deeper clean, encouraging the milia to resolve more quickly. Consider a mild skin-peel. Here our Aesthetician can give you what is essentially a refreshing ‘facial’ using a series of products designed to refresh and exfoliate your skin. This will help your skin in general, and helps in a natural resolution of the milia. If the milia don’t respond over a few weeks or months, consider seeing our doctor who will use minor surgical techniques to safely release the contents of blocked ducts. 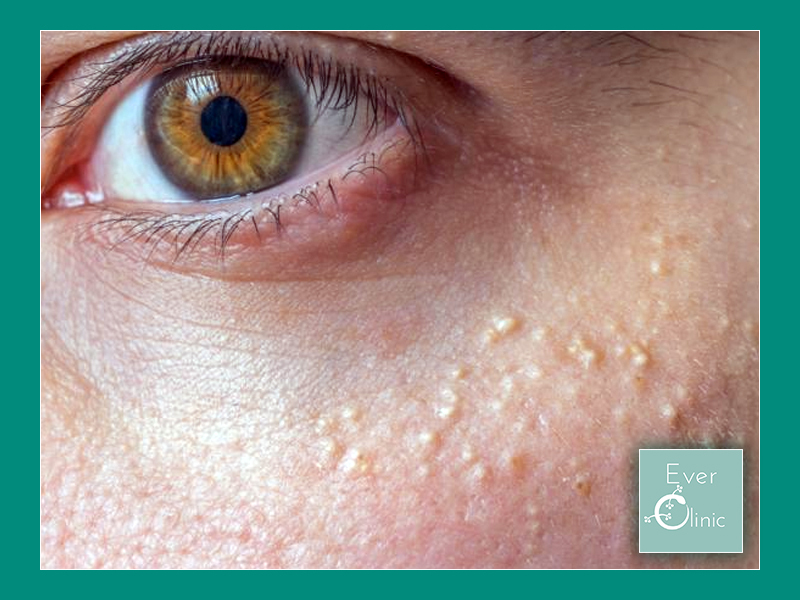 Sometimes called “milk spots”, Milia are small, hard white lumps which are clearly visible on the surface of the skin. Removal of milia is virtually painless and doesn’t normally require any numbing cream. Yes, as long as it is done safely by a trained professional. For most patients, the removal of milia is permanent.Some patients are prone to repeated break-outs and these are usually new milia. Is there any down-time after removal of milia? Some redness is to be expected in the treatment area.